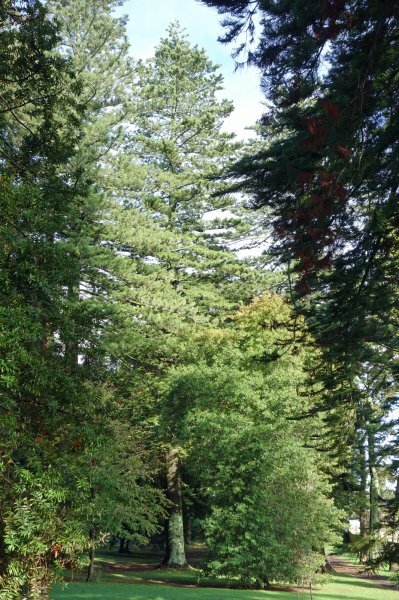 Yatton Park is well known for its outstanding collection of conifers, including some of the largest and tallest Australian Araucariaceae in New Zealand. 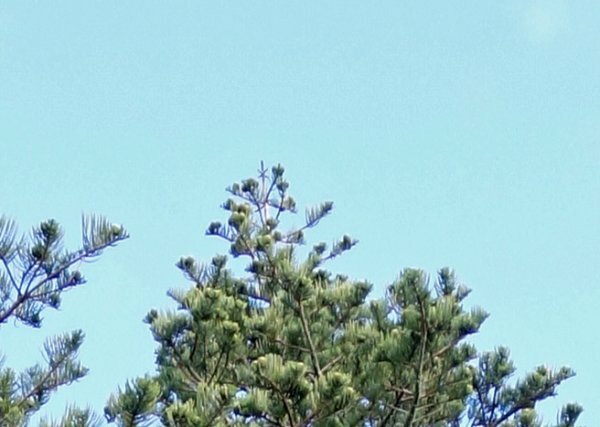 One of the Norfolk Island pines in the park, often described as the tallest Norfolk Island Pine in New Zealand at 51.4 m (BPR/1068) has recently lost its top, and is now 43 m. A tall tree in Epsom, Auckland (AR/1332) was found to have been fractionally taller than the Yatton Park Tree, and potentially the tallest known Norfolk Island pine in the world. In the centre of the old arboretum plantings in the park, in a grouping of trees, including the tallest known Queensland kauri (BPR/1026), Bunya pine (BPR/1025), Hoop pine (BPR/1369) and Japanese cedar (BPR/1370) in New Zealand, are four tall Norfolk Island pines, growing in competition with those trees, and two coast redwoods, one 47 m tall. Two trees were measured at 49.4 m and 50.2 m tall. However, the tallest is 52.6 m to a still growing leader. This is the tallest measurement known for the species, leading the 52.1 m Epsom tree and a 51.8 m tree at Tedeschi Winery, Maui, Hawaii measured in 2003. 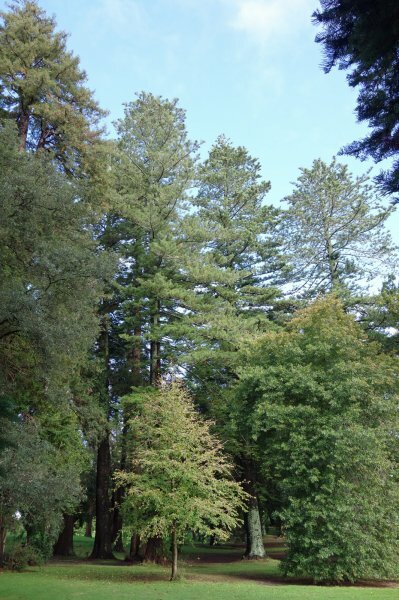 Araucaria heterophylla, The Gymnosperm Database, accessed May 2016. In fine health, with a vigorous leader. Drawn tall by competition with the surrounding trees. In the centre of the park, close to the Harrier St entrance.